The Daytime Emmy Awards is an award show presented by the National Academy of Television Arts and Sciences in order to honour the American day time television shows. This ceremony has been rewarding the winners since 1974, and has just celebrated its 45th anniversary. This 45th Daytime Emmy Awards was held on the 29th of April, 2018 in California, United States. The nominees had already been announced a few months prior to the ceremony, with American Broadcasting Company’s soap opera ‘General Hospital’ leading the list with 26 nominations. However, upon the event of the award show, the tide turned in favour of one of the National Broadcasting Company’s longest running soap opera ‘Days of Our Lives’. 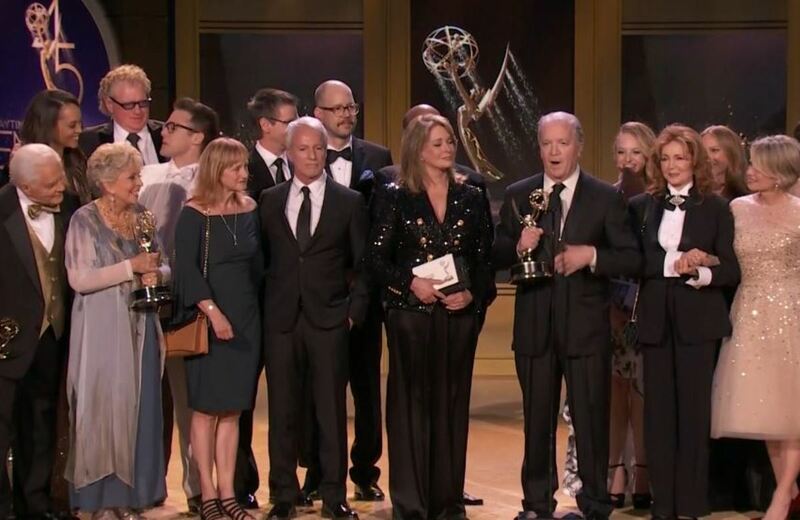 Days of Our Lives has been on air every weekend since 1965 and they have just managed to acquire 5 of the main awards handed over by the Daytime Emmys. This daytime television programme received 5 awards honouring its Writing Team, Directing Team, Best Supporting Actor (Greg Vaughan) and Best Lead Actor (James Reynolds); and finally, the television show Days of Our Lives itself winning the 45th Daytime Emmy for the Best Outstanding Drama Series ever. Other drama awards were handed over to other soap operas like General Hospital and The Young and The Restless. The Best Entertainment Talk Show award was given to The Talk. Best Morning Programme was awarded to Good Morning America, and Best Entertainment News Programme to Entertainment Tonight.